Go to the job details page of the job you'd like to mark complete. Click 'finish' near the top of the screen. 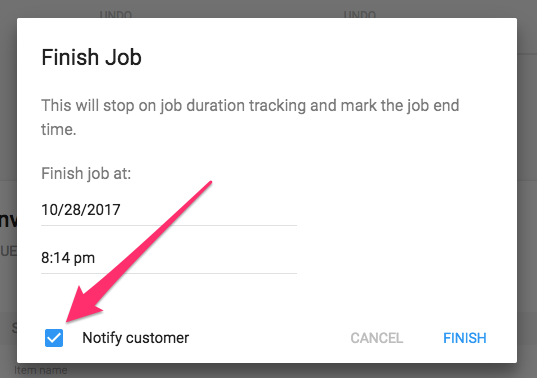 Note that you can first adjust the date and time the job is marked complete by clicking on the date and time fields in the new window. Select 'finish' in the bottom right to mark the job as complete.